Kwikset Kevo Convert: turns your existing deadbolt into a smart lock with smartphone control. iOS and Android devices can be used to manage keys. Yale Z-Wave Touchscreen Deadbolt: this smart door lock is compatible with Amazon Alexa when used with SmartThings. It lets you create up to 250 pin codes to share with others. Use Z-Wave automation apps to lock or unlock your door easily. 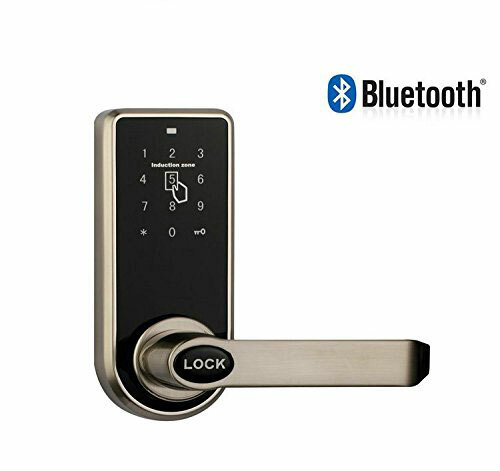 Ultraloq UL3 Bluetooth Lock: a smart door lock that lets you unlock your door using your fingerprint, smartphone, knock, or code. It has a weatherproof OLED display and lets you enroll 95 fingerprints. 3 AA batteries last up to a year. 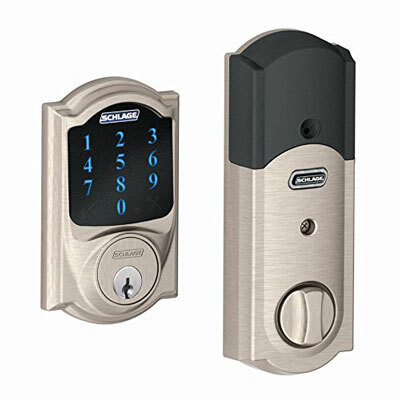 Schlage Connect: this smart door lock comes with a touchscreen keypad on the exterior. It uses Z-Wave technology to connect to your home automation system. You can store up to 30 user codes at a time. It features ANSI Grade 1 security. LockState Connect RemoteLock Keyless Lock: lets you lock and unlock your door from your iOS or Android device. It connects to your home WiFi network and offers keyless access via a 10-button backlit keypad. You receive text message alerts when access codes are used. 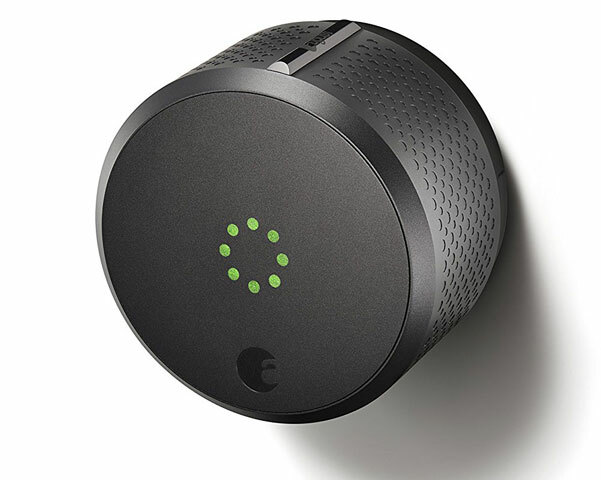 August Smart Lock: lets you open your door and control it from your smartphone. It works with Amazon Alexa, Nest, IFTTT, and other smart home solutions. Auto unlocks when you arrive home. 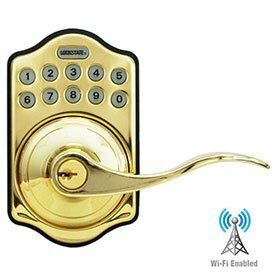 Neretva Electronic Lock: replaces your existing deadbolt and lets you control who has access to your home from your smartphone. Supports temporary codes. 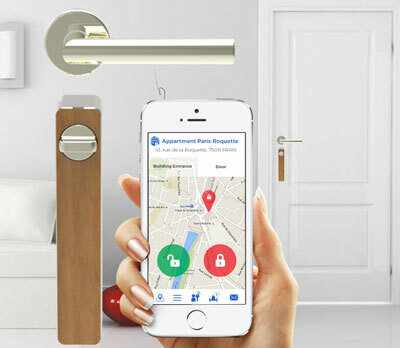 ENTR: a smart door lock with smartphone and tablet control. It comes with at touchpad, fingerprint reader and remote. Just replace your old door cylinder, and you are set. 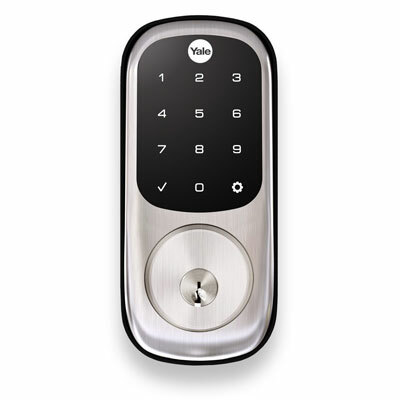 IKILOCK: an elegant smartphone controlled door lock that uses secure data transmission to protect your home. You get notifications when your loved ones get home. BluKey: turns your door smart, allowing you to check its status from anywhere. It responds to touch to search for synced phones. It features encryption tech for security. Noki: combines Bluetooth, GPS, and WiFi tech to let you control your door from anywhere. It detects when you are approaching to unlock the door automatically. With the Noki Bridge, you will be able to unlock your door from anywhere. Have you found more reliable smartphone controlled door locks? Please share them here.